Writing is full of superstitions. There are accounts of authors who only use a certain brand of typewriter, who write only at one certain time of day, who sip only one certain brand of coffee or tea with one certain number of creams/sugars/whatevers in it. Our rituals become nearly religious in their practice. For instance, I prefer to write the first several drafts of a poem with a fountain pen, specifically a Waterman Phileas. I like to fill its charger with ink from a bottle — the color doesn’t really matter so long as it’s not red — and then feel the flow of that ink through a golden nib onto the page of a legal pad (canary or white is of little consequence to me). But these kinds of minute habits, while important, are more innocuous than the habits we can sometimes abuse in our actual writing. I know I have a few idiosyncrasies in my poetry, and over the years, I’ve had a love-hate relationship with each of them. The excessive alliteration, the internal rhyme for no good reason other than the enjoyment of its sound, the Dickinsonian love of dashes — all these and more have been stylistic markers of my work, for better or worse. And while my MFA program did its best to make me aware of them to the point of eschewing them, I’ve come to another understanding: All the greats have certain idiosyncrasies that critics scolded them for, but in the long run, we find those little habits endearing. Who could imagine the work of e.e. cummings with capital letters, for instance? Or who could recall the work of Ogden Nash without its insistent whimsy and child-like wordplay? The list goes on, and the remainder of this post could be comprised of famous poets’ strange diction-predilections, but there’s only so much space, and I value your time. The point is just this — Maybe I’ll stop using those devices that I’ve loved so much and so long, fearing I may “wear them out.” Or maybe, like a comfortable sweatshirt or an old pair of jeans, I’ll keep using them. Maybe I will own them proudly. Being mindful of delicious syllables doesn’t necessarily mean obviating them. In the diet of language, our guilty pleasures can still be consumed (or employed) occasionally, so long as we know not to eat the whole metaphorical pizza. Like everything, diction is a balancing act. Too much or too little of anything can throw things into disorder or disarray. But sometimes, that kind of creative chaos is just what we need. Our little indulgences and idiosyncrasies can lead us to greater authenticity. And as literary history proves, the authentic writers survive long after they’ve passed. Here’s to a great 2018, complete with all the oddities our creative minds return to again and again. A view of our grove from the top of our barn, January 1996. As a younger poet, I spent a great deal of time “pondering” from the old barn roof. This vista was my first real point of inspiration. My family runs a citrus farm in south central Florida. My grandfather, who died in late 2004, began it well before my mother was born. It isn’t a very big grove; only about 20 acres. We grow pineapple variety oranges, which are considered by the industry a “juice orange.” You won’t find our fruit in commercials for OJ, because they aren’t “table fruit,” meaning they aren’t the kind of oranges one puts in a bowl to make a centerpiece. Now in Florida, we have another blow dealt to our crop: Citrus Greening. This disease causes the fruit to wither into hard little knots, and it causes trees to diminish in foliage and abundance. As bad as citrus canker was in the 1980s and before, greening now threatens family farms like ours even more. This disease, caused by a foreign phyllid, has brought Florida Citrus to its knees. 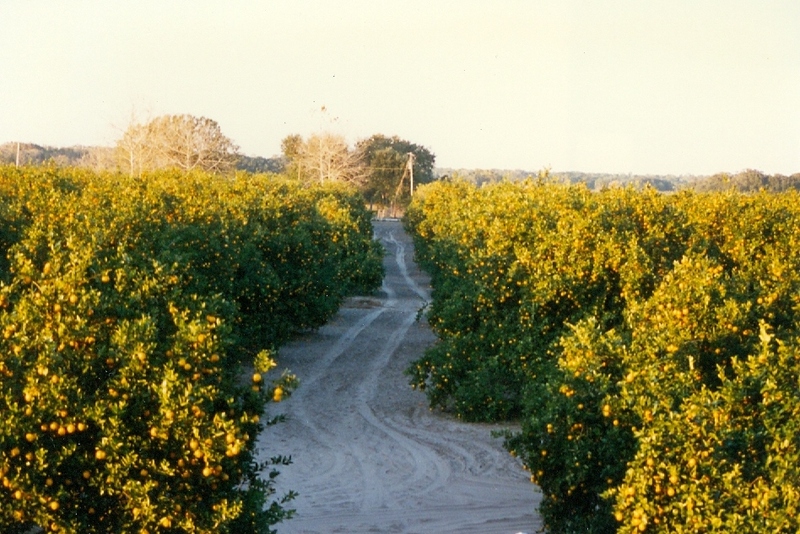 As legislators and agricultural experts figure out what to do next, Florida orange groves are dying away, acre by acre. Ours is no different, unfortunately. Government officials have worked hard to get funding to eradicate greening, but it may not happen fast enough. No more 100 percent Florida orange juice is a very close and real possibility. Greening could mean the end of not only a product, but also a long line of family traditions, as well. Current farmers looking to pass on the family business may soon be without a family business at all. I explain all this to raise another point, however: In the midst of the great greening crisis our state is undergoing, many farmers, including my family, are examining organic farming practices with greater intensity. No-till farming and other ideas are being investigated for their potential benefit, and 21st Century agriculturists are learning that the chemicals we relied upon for decades are doing more harm than good, especially in dealing with greening. Poetry, much like citrus farming, equally demands a more organic approach as we enter a new era in literature. No longer can the writer be satisfied with language that sounds self-important and inflated; the words must flow, and there must be balance among the elements, just as sustainable agriculture requires the right balance of water, sunlight, and food. Too much alliteration or metaphor, and the verses will perish. Too little editing or revising, and the end product will be as hard and withered as a greening-affected orange. It seems a little selfish to focus on writing artfully amid such a dangerous situation for family farms. But maybe, just maybe, some of the same practices that poets and artists employ on paper can be used by our scientific community to save our citrus — sometimes, the new, radical, and unconventional solution is exactly what a piece of writing needs. And perhaps that’s what our oranges need as well. If you’d like to get involved in the fight against greening, please write your congressional representatives, and search online for ways that you may be able to help. Keep American Agriculture strong! Thank you for listening, and thank you for reading. Recently I tweeted about throwing away my rough drafts, and how posterity might frown on such a practice. The more thought I gave the subject, the more I concluded that tossing those old scribbled up legal pad pages isn’t such a bad idea. However, I have writer friends who save every scrap that they’ve ever scrawled upon. “You never know when you might need to look back at your prior thought processes,” they defend, and while I see the point, I can’t help favoring efficiency and space over reflection. I wasn’t always this way. There was a time when I believed that everything had to be preserved “just in case.” I was well on my way to being the subject of a “Hoarders” episode. These days, I’m a bit more pragmatic in my approach. Everything will eventually be dust anyway, so why not give myself some mental room and clarity? I’m not a fully devoted practitioner of feng shui, but I do see the merit in having “flow” in my surroundings. A bunch of old chicken-scratched drafts won’t help my process anymore than having a mulch pile in the middle of my writing room. Both are about equal in function. Lest the reader think I’m a minimalist, allow me to clarify: If something adds beauty or merit, then it should stay. This is true in poetry as in life — lots of professors believe that adjectives and adverbs are tools of Satan, and in some cases, they are. They add fluff and window-dressing, often where none is needed. However, just as the writing room demands certain little accoutrements to make it home, so too does the poem. An occasional descriptive won’t kill the bigger message or theme, no matter what Dr. Killdarlings says. 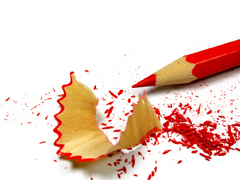 The issue of tossing out drafts and prewriting is personal to every writer. Those of us with visions of Ken Burns documentaries based on our lives may hold on to those ugly reminders in the hopes that our penmanship, like that of Sandburg or Frost, will be looked upon as history. But for this writer, I’d rather people remember the final version. Time to go take out the trash. The thing I really liked about Shel’s work is that, often, it would start with a simple premise (having to do the dishes, preparing to clean one’s room, etc.) and by the end, the poem had morphed into something totally unusual and unexpected. I find my own poetry doing this more and more these days. A poem will start with something pretty standard, but by the end, an entire other world or scenario will have emerged on the page. No doubt the Beats would approve of this editorial decision, reiterating their “first thought, best thought” mantra. Not every poem has to show up for work in a starched oxford shirt and presidential-looking tie. Still, I can’t help feeling that words without boundaries are somehow lost. Frost’s misgivings about free verse resonate even today in the minds of poets everywhere, mine included. I feel that certain limits and strictures make poetry stronger, and poems without rules, even self-imposed ones, often fail the test of relevance. Call me a “new formalist” if you will. Many of my peers disagree, asserting the wildness of words renders a poetic experience that is exclusive and unique. Too often such justifications provide fodder for “artists” who want to assign depth to drivel, however. “It’s not that I can’t write; it’s that I find meaning in error and ugliness,” they’ll say, as if ignorance plus garishness equals enlightenment. Rubbish. Giving in to occasional rabbit-trails along a poem’s path may be acceptable, even artful. But when diversion turns to disruption, it’s time to get out the old poets’ toolbox and get to work. Accepting moments of Seussian whimsy and Silversteinish play can make work more human, and add an element of fun to otherwise serious poetry. It remains up to the poet, however, to know when and where those moments are beneficial. For today, I think I’ll do a few re-writes and see what happens. Wish me luck, respected reader. 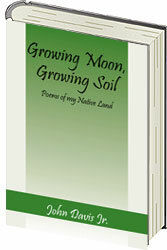 Recently I’ve had the privilege of providing feedback to a budding poet whose work has been compiled into a chapbook. I see a lot of my own history in this poet’s words — as he has been exploring the tools of the trade, there’s the occasional overuse of alliteration (we both love the smart rhythm and happy repetition of consonant sounds), but there’s also this vibrant joy that comes with writing for writing’s sake. That doesn’t mean that we shouldn’t consider others’ points or feedback; indeed, if we want to excel as writers, listening to credible responses will strengthen our work greatly. But when that advice begins to fly in the face of one’s own vision, then it’s time to gain some distance for the sake of clarity. In a few days, I will be headed over to Tampa for my summer MFA residency. While there, I will be engaged in workshops and seminars, many of which are intended for the critique and strengthening of my poems. As I listen to my peers and hear their thoughts (positive and negative) about my creations, I hope that I can keep that beginning-writer passion alive. When the bliss of writing is gone, nothing remains but sheer mechanics and accumulated letters. And when writing becomes the equivalent of intellectual ditch-digging, it’s time to stop. As the next residency period for the Master of Fine Arts in Creative Writing program draws nearer, I’ve been reading the required materials like a good student. In my packet of readables this time, there are an awful lot of opinions regarding the idea of “sentimentality” in writing, especially poetry. I’ve grown up as a writer around mentors who use the word “maudlin” disparagingly, and who utter “saccharine” for truly reprehensible sweetness violations in literature. These authors that I am reading, however, issue a valid and worth-repeating maxim to poets and writers alike who fear being too emotional or too feeling-oriented in their writing. Essentially, all their opinions boil down to this: Use sentimental discernment. That is, if you know that the writing is corny, hokey, cliche, or sugary to the point of nausea, it needs to be edited or omitted totally. However, fearing openness and exposure through one’s literature is equally a handicap to be overcome. Some of these authors state blatantly that modern writers have become so emotionally distant from their work, that it lacks the “heart” that made literature great in the first place. Instead, witty wordplay and smart-aleck irony have become the standard. Poets are deemed cool if they seem to be the writing equivalent of Dirty Harry Callahan. It’s time to put our emotions back into our work, but it’s time we did so without resorting to the hackneyed devices of yesteryear. Risking sentimentality increases the humanity of our writing, and allows us to reach those who have had similar experiences as well as those who haven’t. Poets don’t need to shoot for greeting card verse, but we also don’t need to shield ourselves by writing solely disinterested observations on life. There’s enough pseudo-philosophy out there right now through memes, tropes, and bumper stickers. Let’s put the heart back into our writing, and history will remember us fondly for doing so. As a young journalist, one of the perks of my job I truly enjoyed was seeing my byline above the stories I had written, and my name beneath the photos I shot of everything from car wrecks to disgraced public officials. That joy lingers today, but in a slightly different form: When I see my poetry appear in literary journals and other venues, there remains that sort of pride that goes with seeing one’s name in a place seen by many. I guess it continues to appeal to my ego, among other things, but no matter what the psychological explanation, seeing my name in print continues to be a thrill even after all these years. Of course, publication credit has fallen from its former #1 spot on my list of writing needs over the years — as family and home have superseded the other areas of my life, seeing my byline is less joyful than receiving a healthy check for my work, for instance. Likewise, I’d much rather have a dinner on the town or a free “date night” with my spouse than be able to boast my literary accomplishments to others who most likely don’t care in the first place. I suppose this is what adulthood does to us, in some respects: It steals away our adolescent and young-adult pleasures and replaces them with the docile and common expectations of a relatively humdrum society and culture. Nonetheless, a certain part of us, a less mature part perhaps, knows that recognition is indeed still on our Maslow’s hierarchy, albeit in a somewhat different place. Indeed, the receipt of credit for something well-written continues to be a source of inspiration, motivation, and aspiration for every writer, no matter how young or how old.